Can the special "Browncoats Unite" be viewed online anywhere, or can it be purchased on DVD? Well, it is available online, you can watch it in the News. I don't know if it will be available on DVD but i doubt it. According to the network, the Firefly Reunion special on Sunday night "garnered a total of 1.2 million viewers and was also the Science Channel's most-watched Sunday night ever among the 25-54 demo with a 0.5 rating". 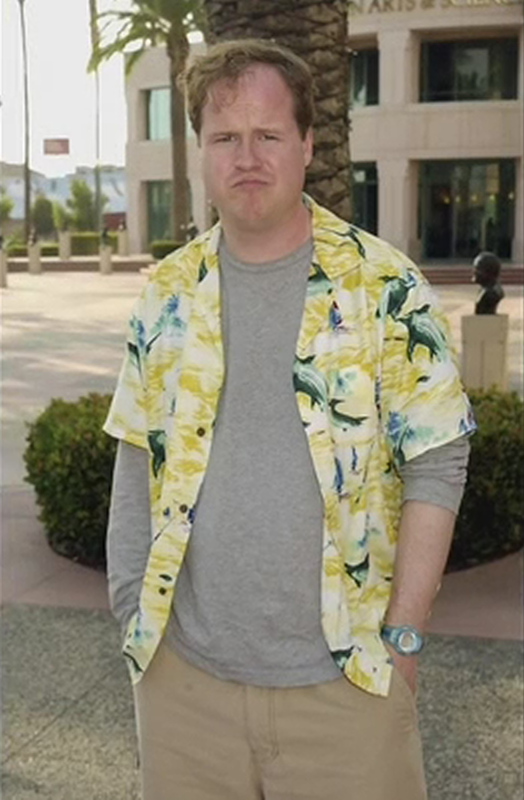 Alan Tudyk : I was in my costume, i was wearing the Hawaiin shirt and my hair was red and spiky...and Joss was standing there wearing exactly the same outfit.